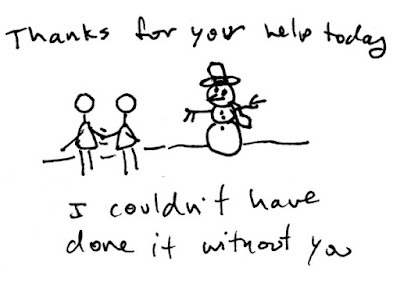 helentoons: Just wanted to say "Thank You"
Andrew says "That's a snowman!" and "I want to click". Soooo hope this post makes it up.